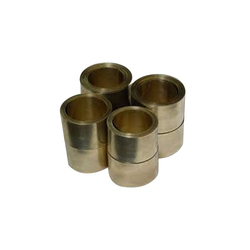 We are a leading Manufacturer of tech braze silver brazing foil from Vasai, India. We are an unparalleled name, engaged in offering a premium quality range of Tech Braze Silver Brazing Foil. These Silver Brazing Foil are manufactured with high precision under the strict guidance of our practiced professionals by making use of quality approved raw material and the latest technology in tune with set industry standards. In addition to this, clients can easily avail these machines from us at market leading prices. Free-flowing with narrow melting ranges. It's resistance to corrosion in chlorine, sulfur steam environment. More economical. These brazing alloys require high temperature this helpful where joint clearance are not uniform. Looking for Techbraze Brazing Foil ?